How to Display Pictures Author Rich Snippets In Search - Author Rich Snippets or Kepekarangan is a way to display an image or photograph of the author of the article a site / blog on the search results, for example on a google search. author photo taken from Google+ profiles, to determine the shape digoogle search results can be checked on Google Structured Data Testing Tool. 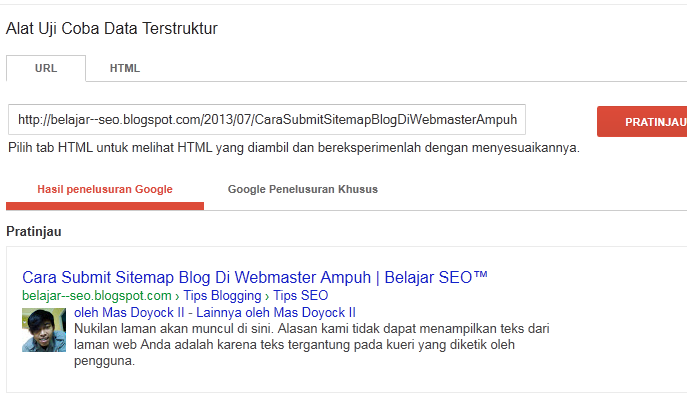 Well as the previous article How to Submit Sitemap in Webmaster Powerful Blog that explains how to submit in webmaster. This time I will explain how to display the Picture bagamana Author Rich Snippets on google search, Author Rich Snippets / Authorship generally can be made through several main method explicitly: the verification email or rel = author markup. 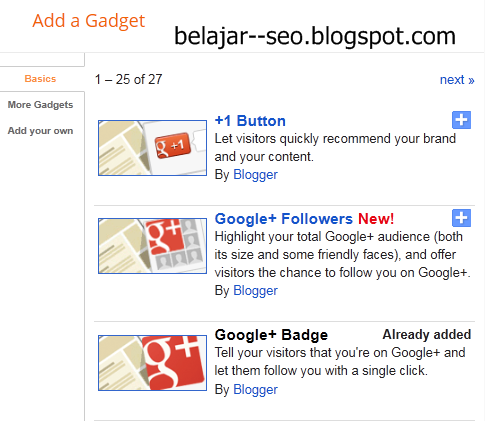 the blog with your Google Plus account. But this time I explain EASIER way without edit HTML ..! Then go to Google Structured Data Testing Tool and try to enter the Link and Select Preview Blog article. Successful right?? How to Display Pictures Author Rich Snippets In Search, Good Work, If you have any questions please comment. Hey dude you wrote really nice and helpful post..